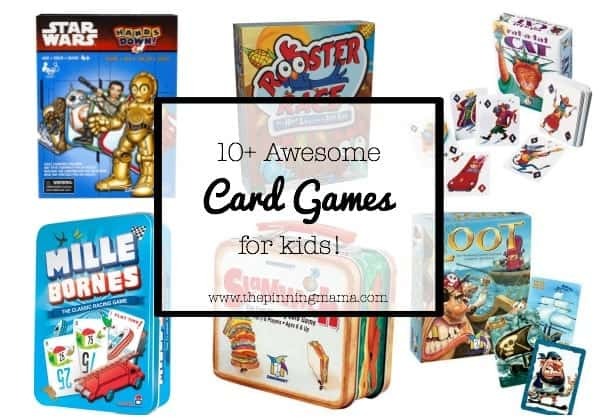 10+ Awesome Card Games your kids will love! Card games are a great way to spend time with the family, but also to learn the building blocks of math including counting, patterns, and strategy! Kids as young as 3 can start to get involved in family game night with some of these games! They are great for birthday gifts or make perfect stocking stuffers, Easter Basket fillers or prizes and rewards for good behavior! Card games are an awesome way to spend time with the kiddos! So many of them are educational and all of them are fun!! From games that teach math and colors to games that teach strategy and awareness there is a card game for kids of all ages. Here is a fun collection of awesome card games for kids! 1. This Star Wars Hands Down game is so fun! 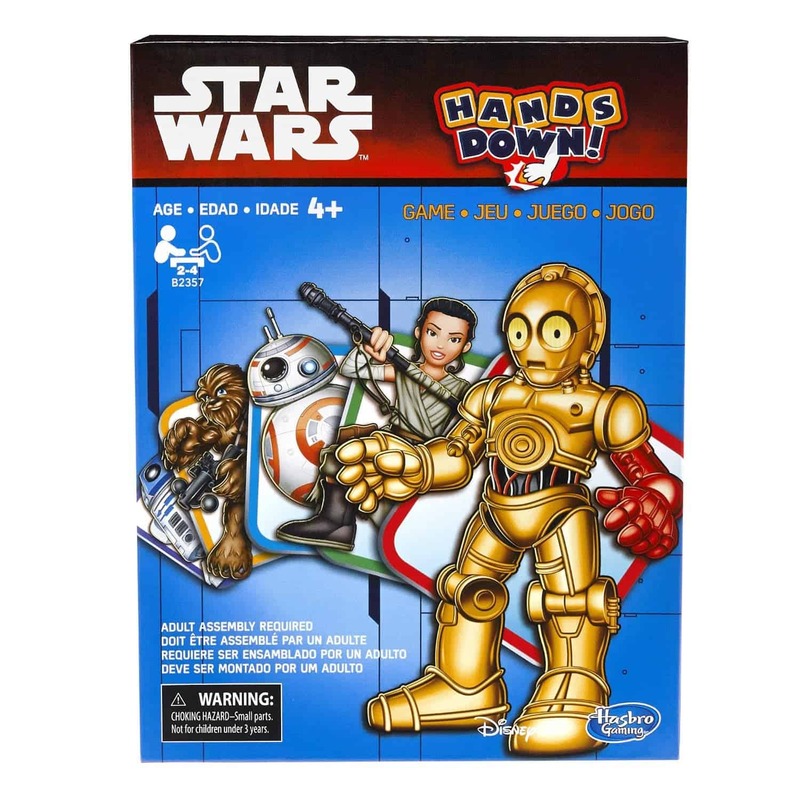 This is a fast paced game and the Star Wars theme will have even the biggest kids in your house interested for hours! 2. 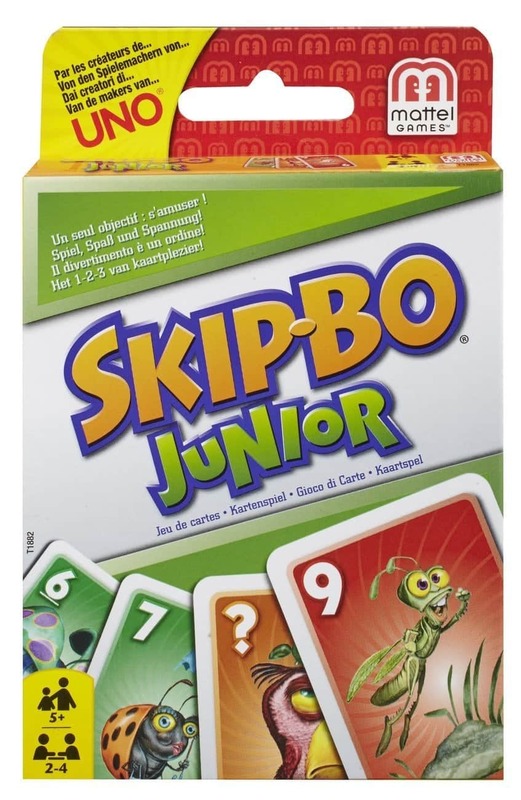 Skip-Bo is one of my favorite games, so it is no surprise that Skip-Bo Junior is one of my kid’s favorites! This game is great to help kids learn to strategize and plan ahead. It teaches situational awareness and paying attention! And the cute graphics are a big bonus! 3. There’s a Moose in the House is sure to get the kids giggling! 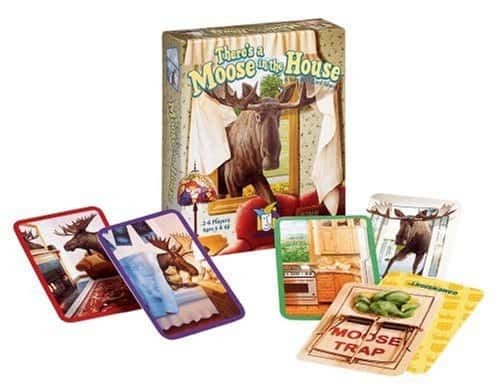 With an adorable moose wreaking havoc in the house this is an entertaining and silly game! 4. We used to play a game similar to this but we called it something really inappropriate! 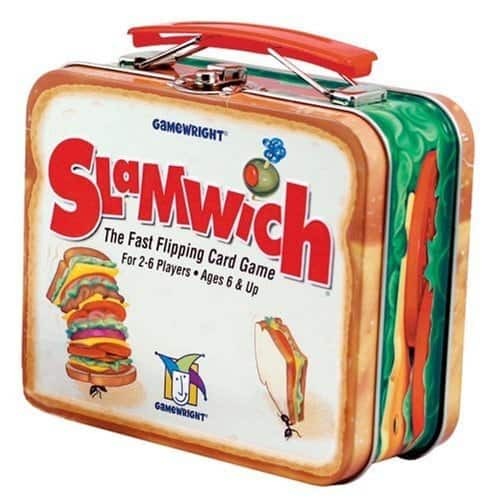 Slamwich is definitely a better name for it and the sandwich theme is super cute! This version even comes with a cute lunch box like tin which the kiddos are sure to enjoy. 5. This is another game that is great for awareness and strategy. 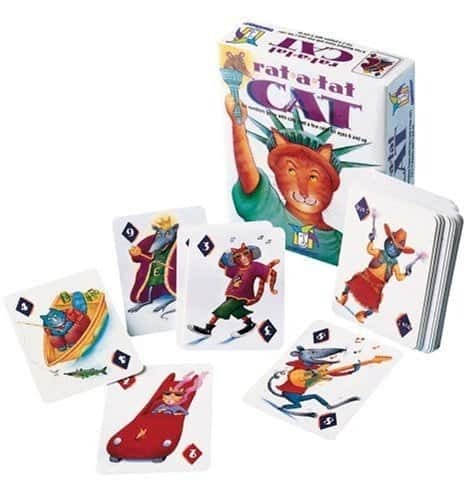 Rat-A-Tat-Cat has fun graphics on all the cards and is great for teaching kiddos basic math skills! The goal is to have the lowest score by trading cards in for cards of a lower value, definitely educational! 6. Kids love pirates am I right, heck so do adults for that matter! 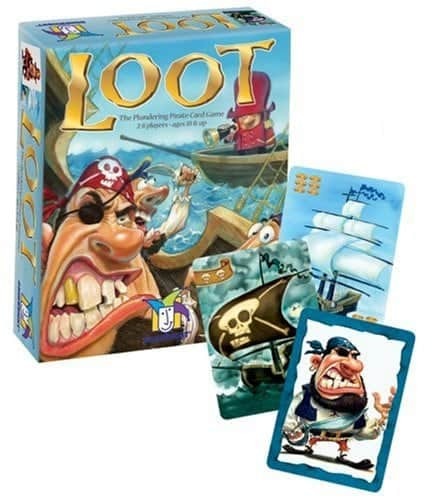 Loot has an adorable pirate theme where you collect loot. This game is for the older kiddos, it is recommended for ages 10 and up. 7. These Dweebies are seriously adorable! The quirky little guys are part of a fun strategy game that will keep kids playing for hours trying to beat! It is fun just to check out all the different cards and cute illustrations. 8. 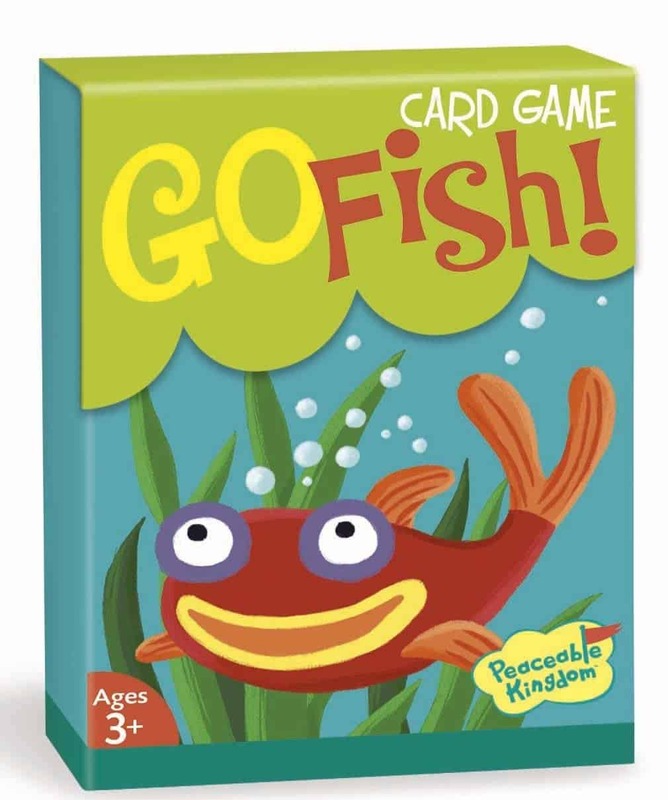 Go Fish is a classic card game that is easy for kids to learn and play. It is also a great game for family time! 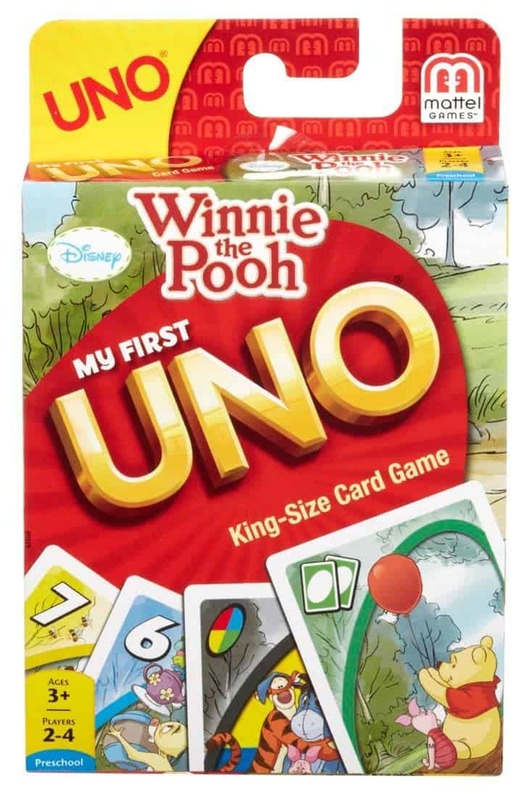 This one is great for younger kiddos just starting to get the attention span to sit down and play a card game. It is quick with an easy concept that little ones can easily learn. 9. 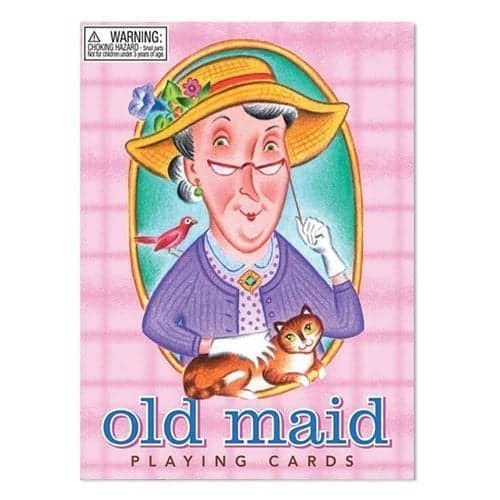 Another classic game that is great for little kids is Old Maid. This one is good for body awareness, learning how to hold all those cards in your hand at one time is definitely a learned skill that takes a lot of concentration! Plus it is cute to watch the little ones try and keep a straight face and not get excited when someone is about to pull the Old Maid from them! 10. Sometimes I want to play a game that is stimulating for me as well as the kiddos! 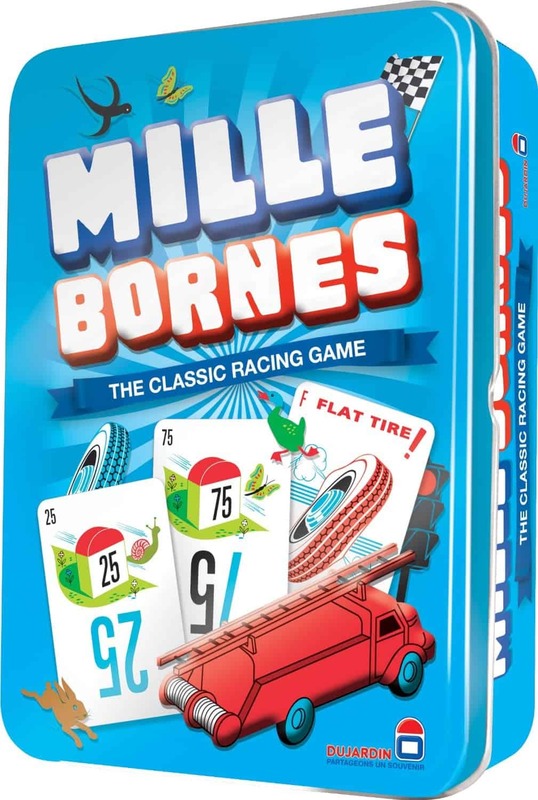 Mille Bornes is perfect for these occasions! It is entertaining for the kids and for adults alike. This one is a race using speed cards to get to 1000 miles first. Super fun! 11. 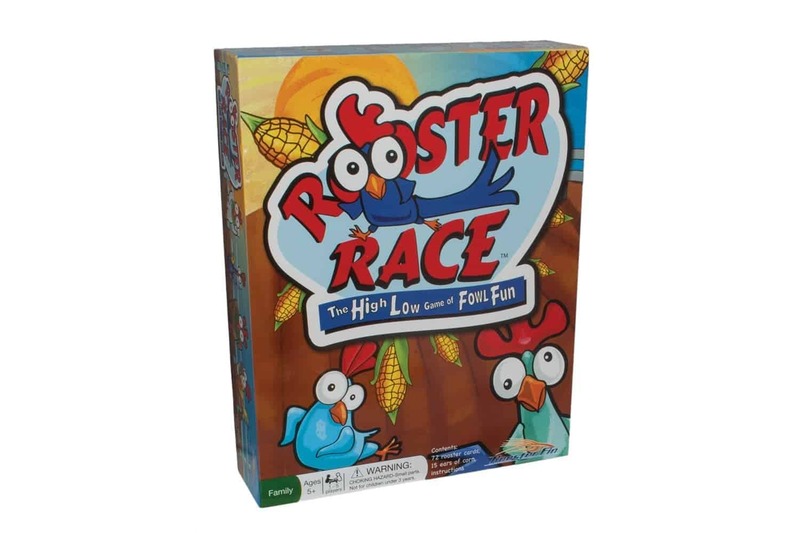 Rooster Race is a cute game that teaches you the power of prediction! This is a great game to take with you when you are out and about and have some down time. Kids of all ages will love this game and if they can’t count it is great for learning to count to 15. My kids current favorite game is Uno! Even my 3 year old can play by matching the colors or numbers on the cards. As they get older they start to learn the strategy of the game and all of them really enjoy getting to yell “uno!” To make it even more fun, they come in a variety of your kids favorite characters and shows! Everything from Frozen, to Spider Man, to Thomas the Train. There is a great selection on Amazon! What is your kid’s favorite card game to play and which game will you be adding to your stash? Share with me in the comments below. Also, make sure you check out our favorite board games for preschoolers here! « Hawaiian Chicken Bake Recipe – Easy Dinner Idea! We have been searching for some new card games and came across your post, thanks for the ideas! 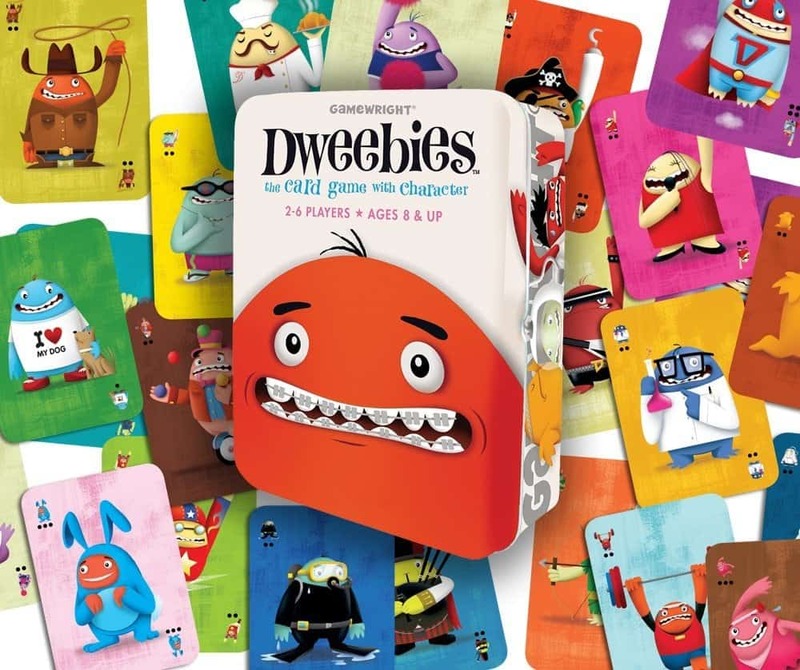 We just ordered loot and dweebies, cant wait to play them with the kids!! !